Site: this is the northernmost vineyard in the Joseph Drouhin Chablis Domaine. It is one of the seven Premier Crus due to its excellent exposure and Kimmeridgian soil concentration, giving it the easily recognizable character of Chablis. Drouhin estate: 1,78 ha. (4.45 acres). Average age of the vines: 28 years. Average yield at the Domaine: 57.67hl/ha (the yield currently authorized for the appellation is now 58hl/ha). 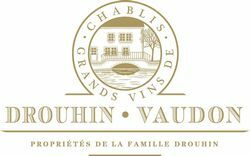 "A fresh and straightforward wine, typical of Chablis. Clear, straw-yellow colour, with green reflections. The complex and mineral nose reveals flavours of citrus and white flowers. Clear-cut impression on the palate. Nice balance between texture and mineral sensations; a wide palette of aromas: citrus, vegetal notes such as asparagus or artichoke; even hints of a marine environment...". It is an exceptional crop. Picking lasted from September 25th to October 4th. We were few to harvest so early, but low yields meant precocious maturity... the sanitary state, acidity and sugar levels were excellent. The year was difficult but the biological culture proved to be successful. We are quite confident to say that 2008 is one of the greatest vintages of the past 25 years. All the wines from the village Chablis to the Grand Crus, depending on their level of appellation, show concentration, richness, freshness, minerality and intense aromas. It could be interesting to lay down these Chablis as their aromatic potential is important. Although very pleasant and seductive when young, you could also keep these Chablis up to 4 or 5 more years, the Premier Crus from 7 to 8 and the Grand Crus to drink from 2011 and the next 12 years.